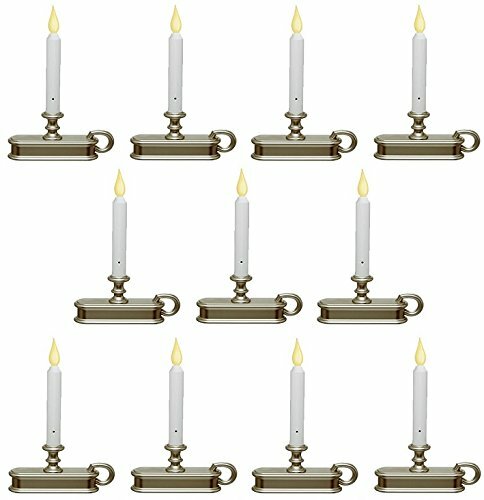 Quantity of (11) : Xodus, Pewter Traditional LED Deluxe Battery Operated Christmas Candles, Choose From Realistic Flickering Or Full On Flame, No Hot Wax Or Dangerous Flame, LED Light Source Eliminates Need For Bulb Replacement, Automatically Comes On At Dusk & Turns Off A Dawn, Windowsill Mounting Clips Included, Lasts The Entire Holiday Season Using 2 "C" Alkaline Batteries Not Included. If you have any questions about this product by Xodus, contact us by completing and submitting the form below. If you are looking for a specif part number, please include it with your message.